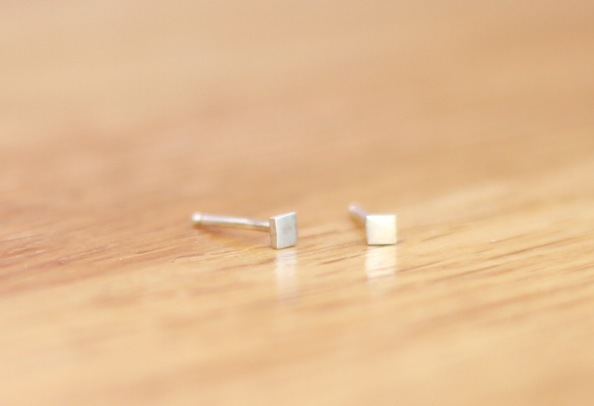 These gorgeous handmade sterling silver square studs (say that 10 times fast!) 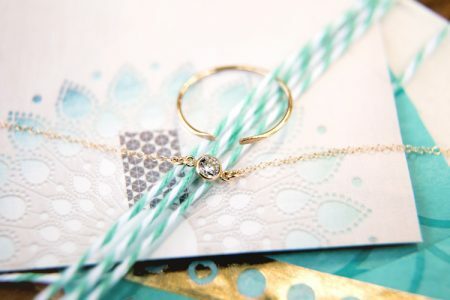 were mailed out to our October surprise subscriptions, and came from the wondrous jewelry artist Candice Vostrejs. 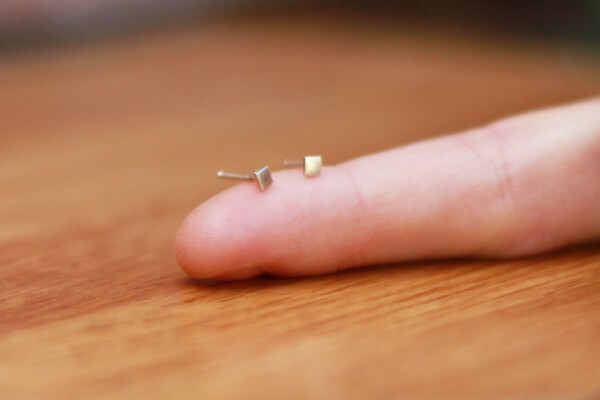 We really adored their miniature size, which made them perfect as everyday-wear earrings. Yet they didn’t feel fragile at all, so we know they’ll stand the test of time (plus they are sterling silver, so they are very strong!). As with all our handmade artists, Candice included a unique artist information card with the handmade silver square studs. We ask the artists to include these so that our customers get a feel for the real person behind each product they receive. They learn about their background, inspiration, and sometimes even about some of their unrelated hobbies! 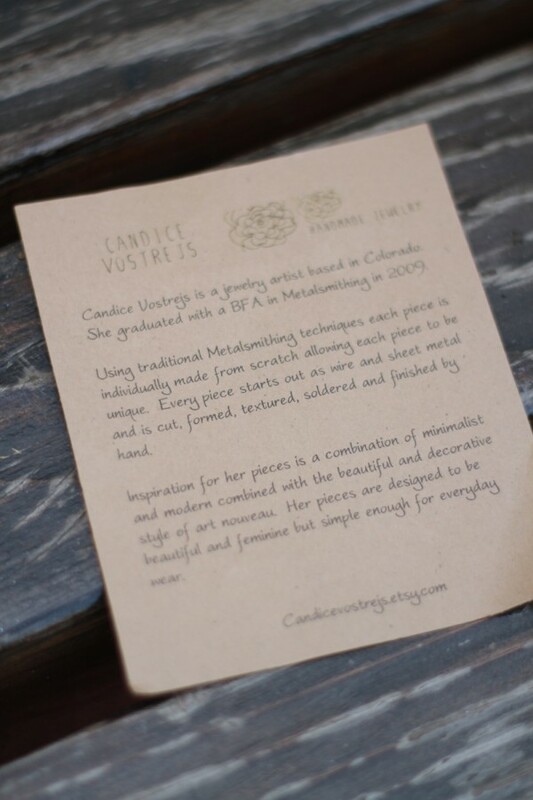 Candice Vostrejs writes: Candice Vostrejs is a jewelry artist based on Colorado. She graduated with a BFA in Metalsmithing in 2009. Using traditional Metalsmithing techniques each pieces is individually made from scratch allowing each piece to be unique. Each piece starts out as wire and sheet metal and is cut, formed, textured, soldered and finished by hand. Inspiration for her pieces is a combination of minimalist and modern combined with the beautiful and decorative style of art nouveau. 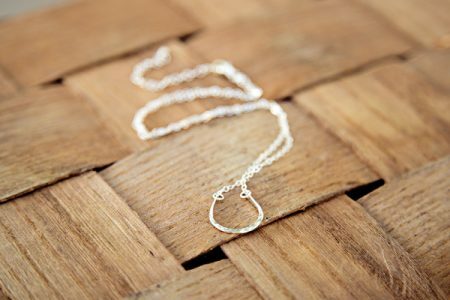 Her pieces are designed to be beautiful and feminine but simple enough for everyday use. 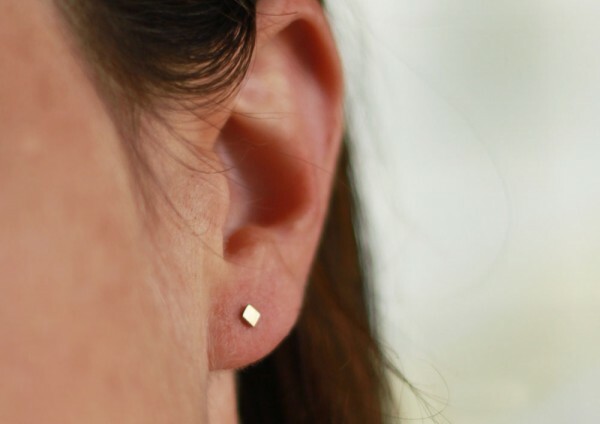 We hope you liked these lovely earrings as much as we did! To purchase a pair (if you aren’t already a surprise subscriber!) 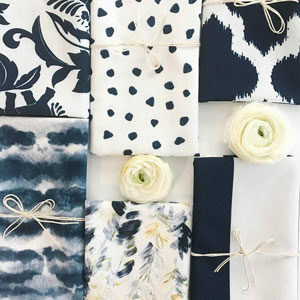 head on over to Candice’s etsy store by clicking here. 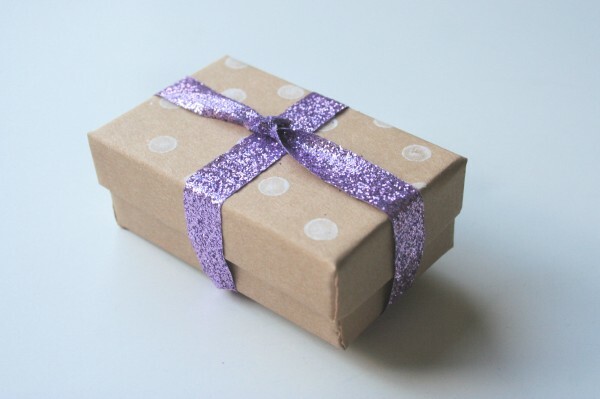 Do you want to receive a gift box every month? Or even two or three? 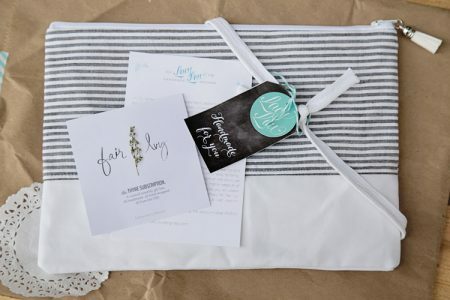 Every surprise gift is handmade and comes hand-wrapped, along with an informational note card straight from the artist, to let you know about their process, business and background. It’s fun, luxurious, and you will be supporting US artists at the same time!